What are apples? About the ingredient apples. Including 1,732 recipes with apples, nutrition data, photos, and where to find it. Apples can be canned or juiced. They are sometimes milled to produce apple cider (non-alcoholic, sweet cider) and filtered for apple juice. The juice can be fermented to make cider (alcoholic, hard cider), ciderkin, and vinegar. Through distillation, various alcoholic beverages can be produced, such as applejack, Calvados, and apple wine. Pectin and apple seed oil may also produced. 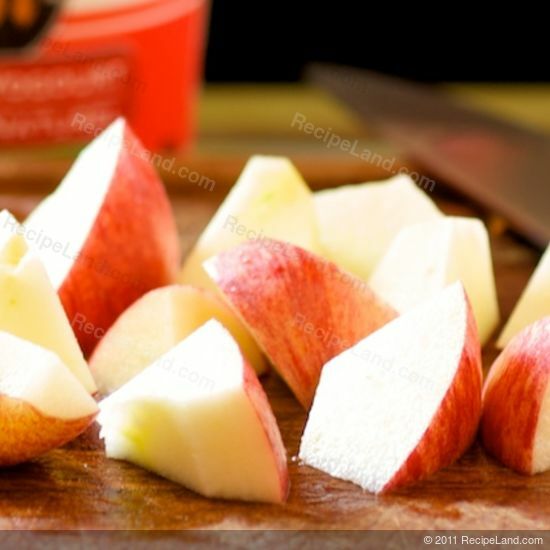 Apples are an important ingredient in many desserts, such as apple pie, apple crumble, apple crisp and apple cake. They are often eaten baked or stewed, and they can also be dried and eaten or reconstituted (soaked in water, alcohol or some other liquid) for later use. Puréed apples are generally known as apple sauce. Apples are also made into apple butter and apple jelly. They are also used (cooked) in meat dishes. In the UK, a toffee apple is a traditional confection made by coating an apple in hot toffee and allowing it to cool. Similar treats in the US are candy apples (coated in a hard shell of crystallised sugar syrup), and caramel apples, coated with cooled caramel. Farms with apple orchards may open them to the public, so consumers may themselves pick the apples they will buy. 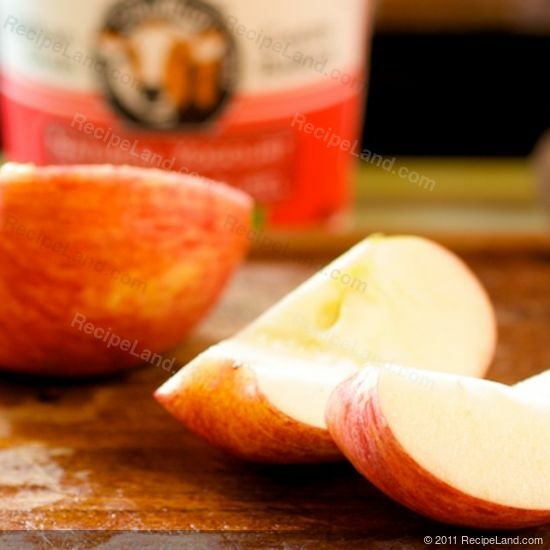 Organic apples are commonly produced in the United States. Organic production is difficult in Europe, though a few orchards have done so with commercial success, using disease-resistant cultivars and the very best cultural controls. The latest tool in the organic repertoire is a spray of a light coating of kaolin clay, which forms a physical barrier to some pests, and also helps prevent apple sun scald. Apples are usually found in the produce section or aisle of the grocery store or supermarket. Apples are a member of the Fruits and Fruit Juices USDA nutritional food group. How much do apples weigh? There are 1760 recipes that contain this ingredient.